As part of a review of our electronic databases we have designed a New database page listing our subscribed resources, making it easier to navigate. 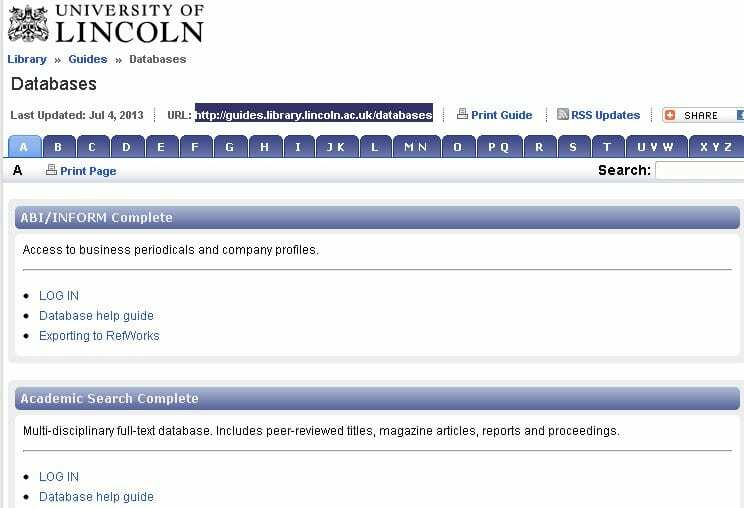 This page remains in the same location as the previous database page (library.lincoln.ac.uk > more resources > databases). Feel free to add the link to your favourites: http://guides.library.lincoln.ac.uk/databases to conduct your research more effectively.